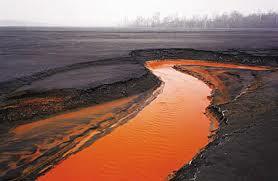 ‘THERE WAS ONCE a town in the heart of America where all life seemed to live in harmony with its surroundings. The town lay in the midst of a checkerboard of prosperous farms, with fields of grain and hillsides of orchards where, in spring, white clouds of bloom drifted above the green fields. ‘In autumn, oak and maple and birch set up a blaze of color that flamed and flickered across a backdrop of pines. Then foxes barked in the hills and deer silently crossed the fields, half hidden in the mists of the fall mornings. Along the roads, laurel, viburnum and alder, great ferns and wildflowers delighted the traveler’s eye through much of the year. Even in winter the roadsides were places of beauty, where countless birds came to feed on the berries and on the seed heads of the dried weeds rising above the snow. The countryside was, in fact, famous for the abundance and variety of its bird life, and when the flood of migrants was pouring through in spring and fall people traveled from great distances to observe them. Others came to fish the streams, which flowed clear and cold out of the hills and contained shady pools where trout lay. So it had been from the days many years ago when the first settlers raised their houses, sank their wells, and built their barns. but achieves its momentous affect by employing literary allusions, mythological motifs, and apocalyptic rhetoric to convey its core environmental message. 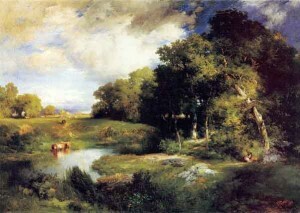 The opening chapter, ‘A Fable for Tomorrow’, begins by using the well-established pastoral mode whereby the people appear to be living an idyllic existence in harmony with the flourishing natural environment. But then, the tone changes dramatically and the “strange blight” and “evils spells” disrupts the pastoral scene. 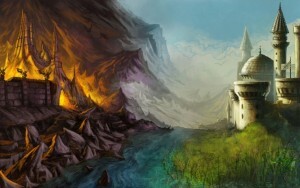 To achieve this affect, Carson evokes a fairy-tale atmosphere which portends an apocalyptic end-of-the-world scenario. These literary motifs and foreboding plot-lines are well-known to us all from childhood. Carson deliberately uses these well-familiar narrative formats to enframe her message in order to present her message in the only way for people to comprehend and accept its import. Sometimes presenting the basic facts just won’t do. Facts don’t quite capture our imagination. We are story-beings and we need stories to make sense of our place in the world. We are also more ready to accept unpalatable truths when they are presented to us in story-format. won if there was to be a change in U.S. government policy on the use of harmful pesticides. 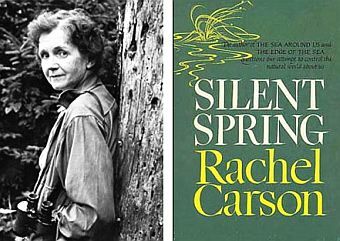 Carson’s Silent Spring made a significant impact on public opinion and it effectively accomplished putting the environment onto the popular political agenda. Carson did indeed have a novelist’s art and an artist’s intuition in communicating the portentous realities of the environmental dilemma. She perceived that it required a poetic language that spoke in metaphors and used parables rather than just plain didacticism to impel an ecological conscience amongst the public and to change the way they regard nature and behave towards the environment. Carson’s achievement was to reconcile the old presumed foes, science and poetry, in their common struggle to make sense of our place on the earth, belying the notion that the two are diametric opposites. The question that emerges from this understanding of Carson’s art, and which is highly pertinent to ecocriticism, is: how might the ways in which the natural world is spoken about or symbolically rendered affect the way we relate to it? [i] Greg Garrard (2004), Ecocriticism, London and New York: Routledge, p 2. [ii] Dichlorodiphenyltrichloroethane, an organochlorine insecticide.